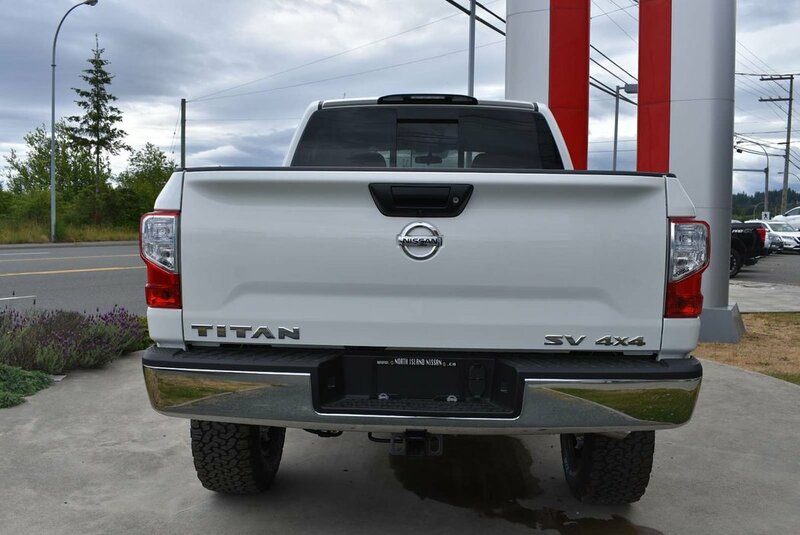 2018 Nissan Titan SV Titanzilla! 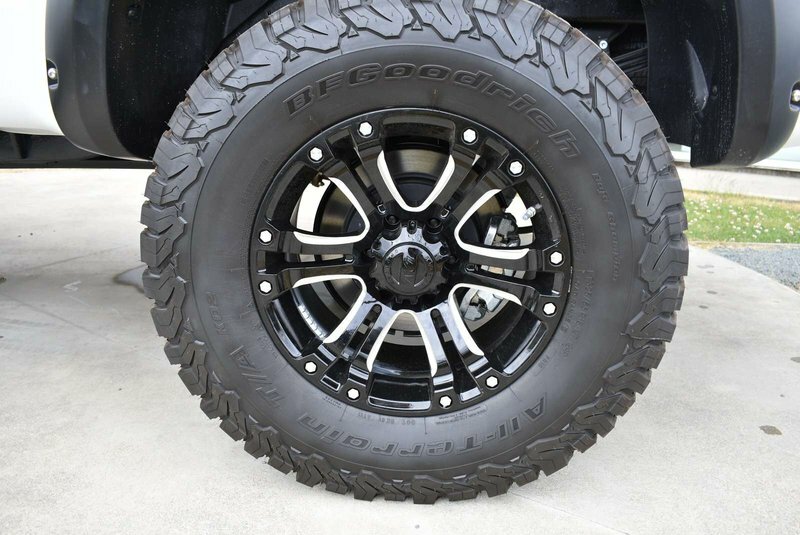 Lift kit, upgraded tires, upgraded rims, and more!! 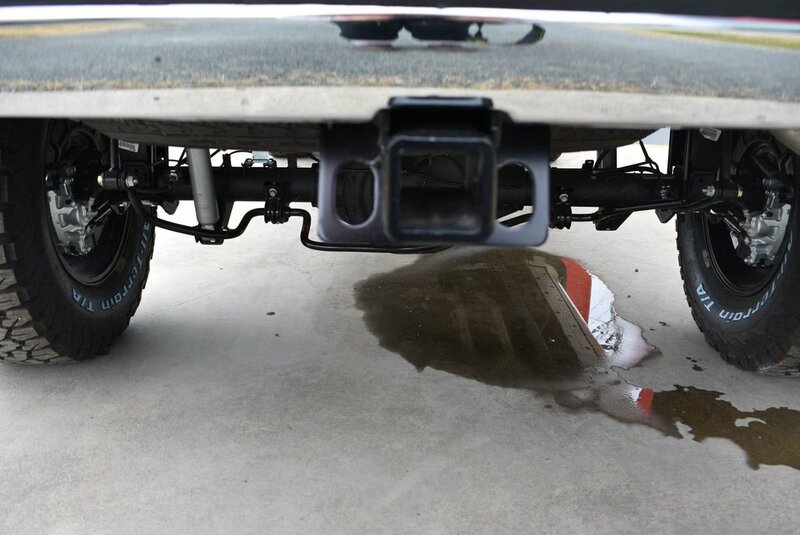 Massive jobs require the right tools. 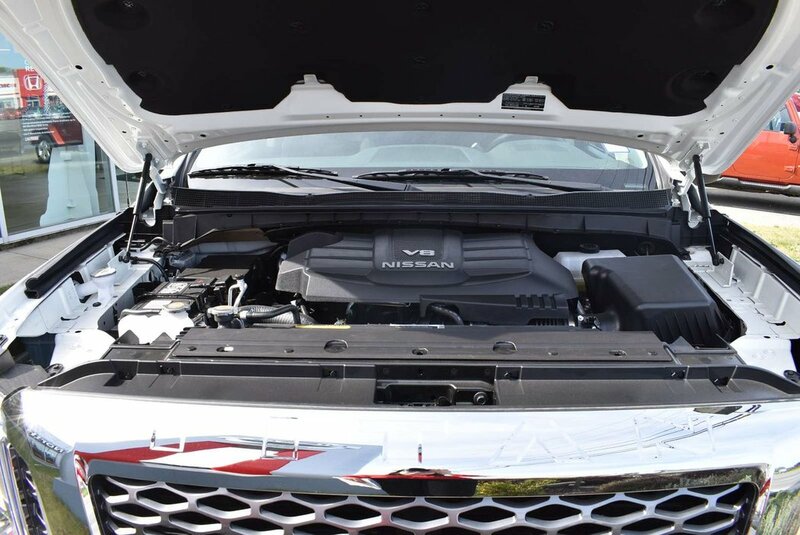 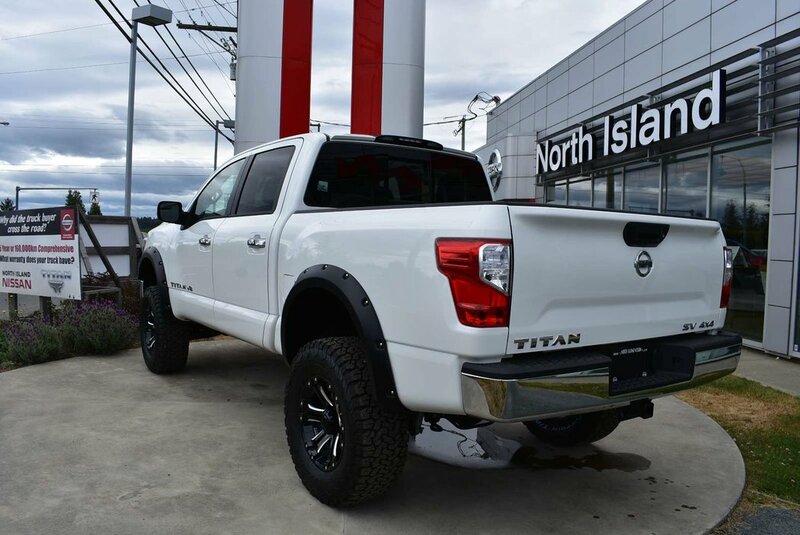 Start with TITAN, and you've got the muscle of 390-hp endurance V8, and innovative truck bed, advanced technology that redefines towing, and expansive comfort and convenience. 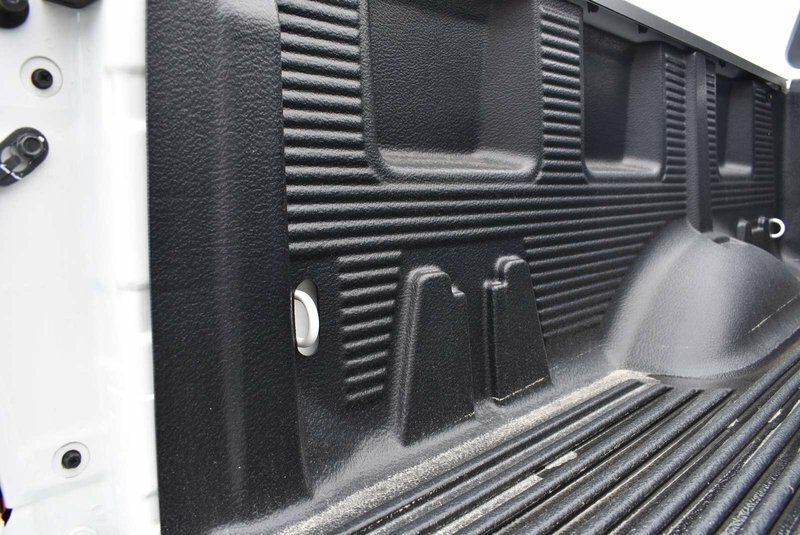 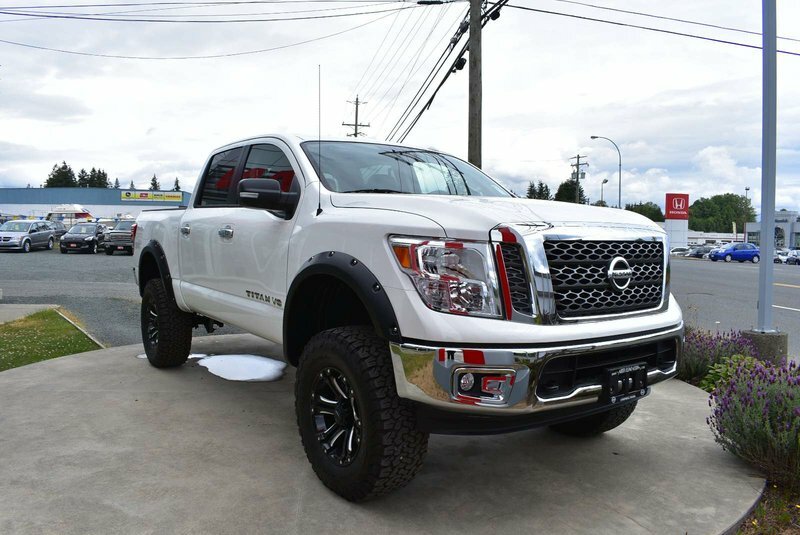 2018 Nissan Titan, taking on any task with a truckload of capability. 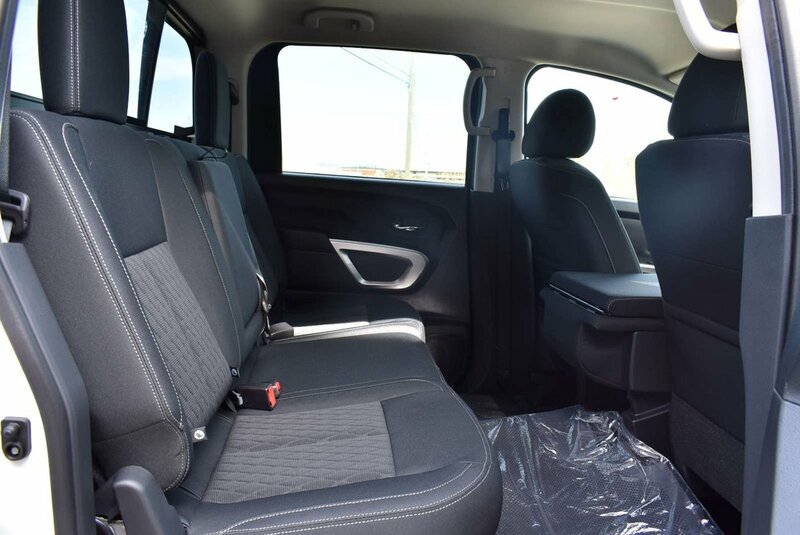 When choosing the SV trim package you have the capability of taking 6 people (including you the driver) anywhere in the spacious cab. 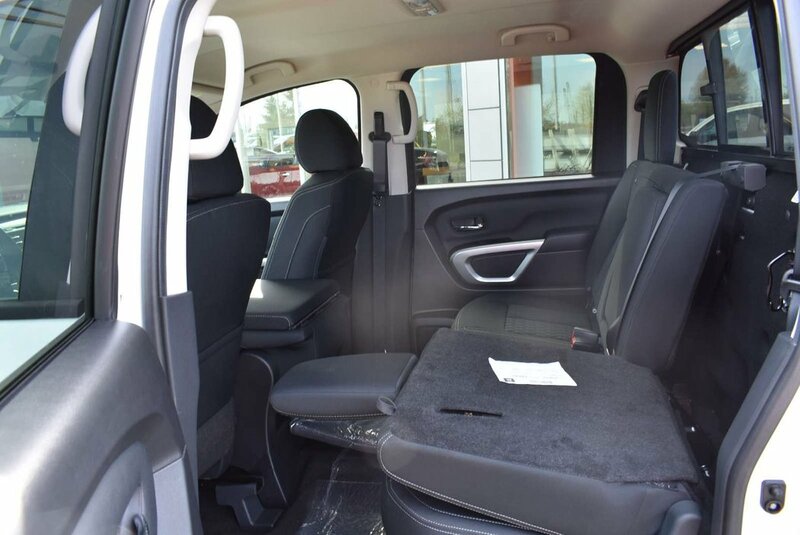 Or, if you don’t want to cart around so many no biggie, flip down the front centre backrest and you have a centre armrest with loads of storage space. 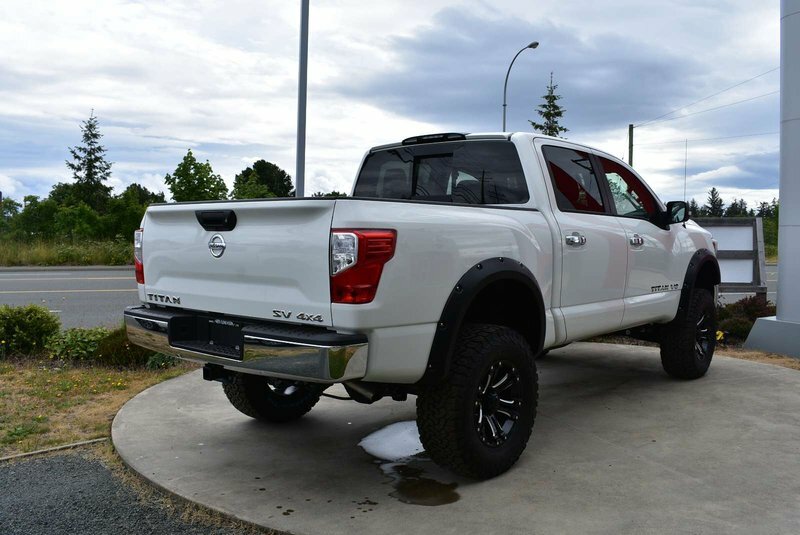 This truck has been transformed into the BEAST OF ALL TRUCKS! 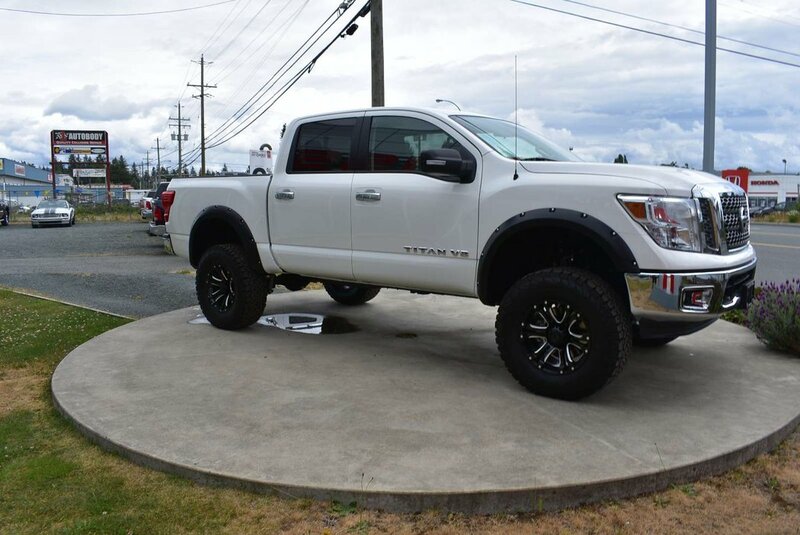 We added a 6” lift, with some 18” KO2 tires new RIMS, then to finish it off some fender flares, nothing will get in your way with truck like this one!!! 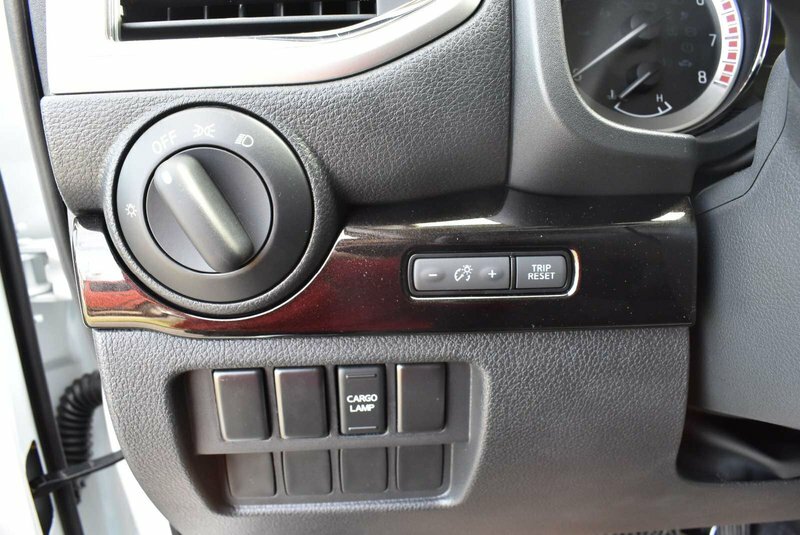 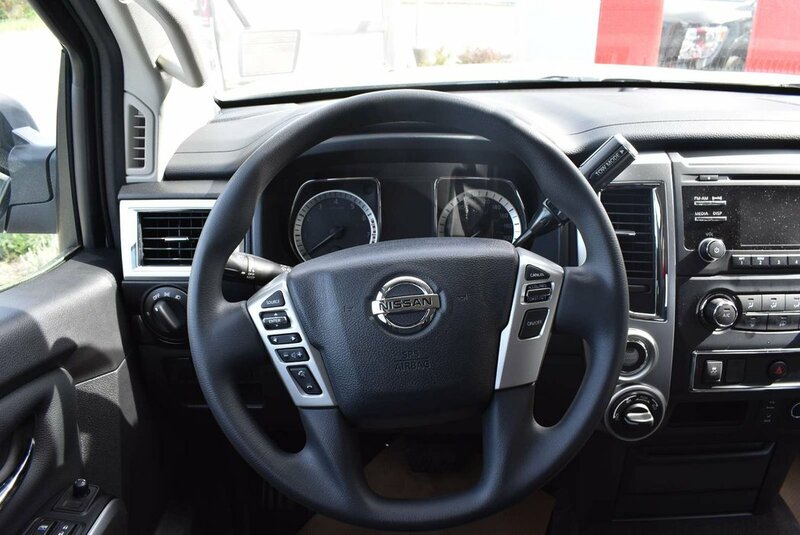 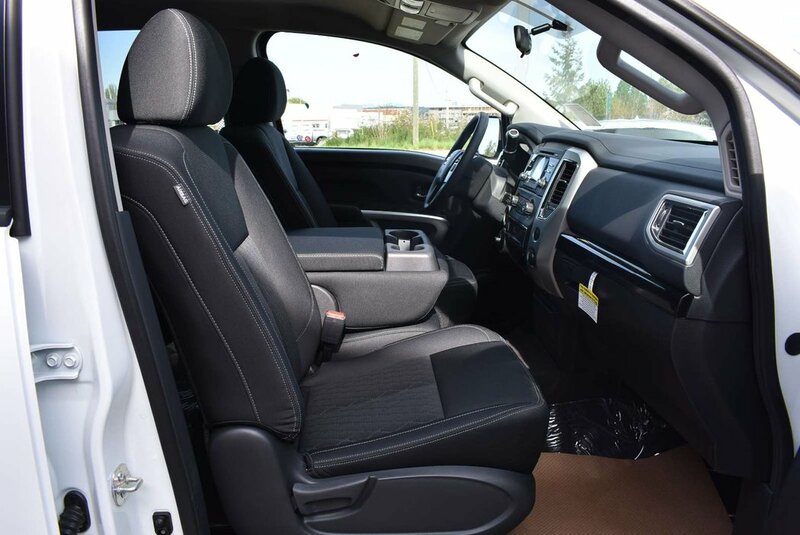 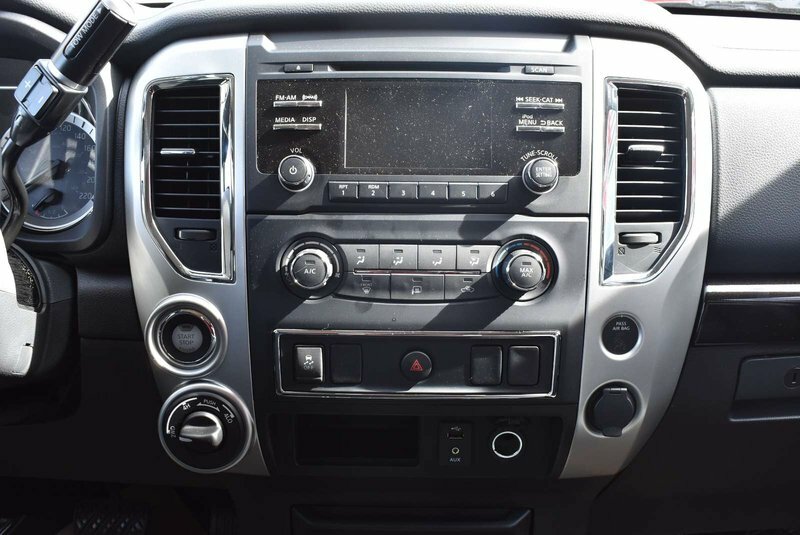 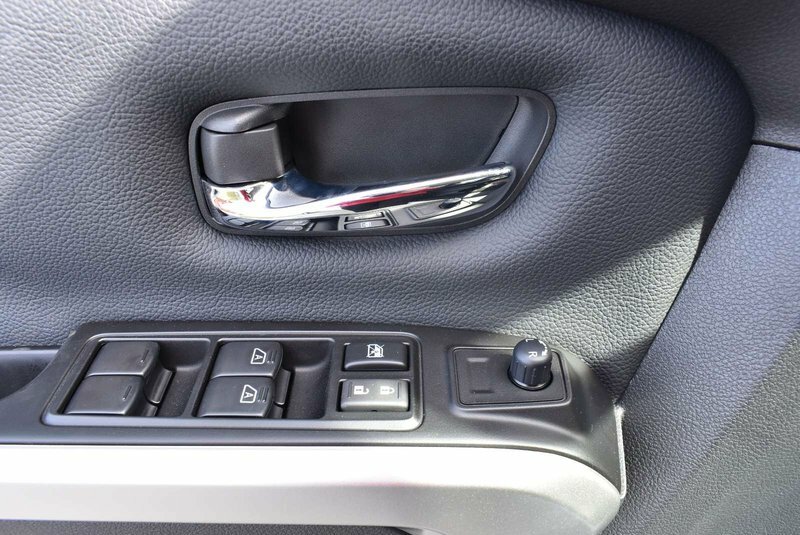 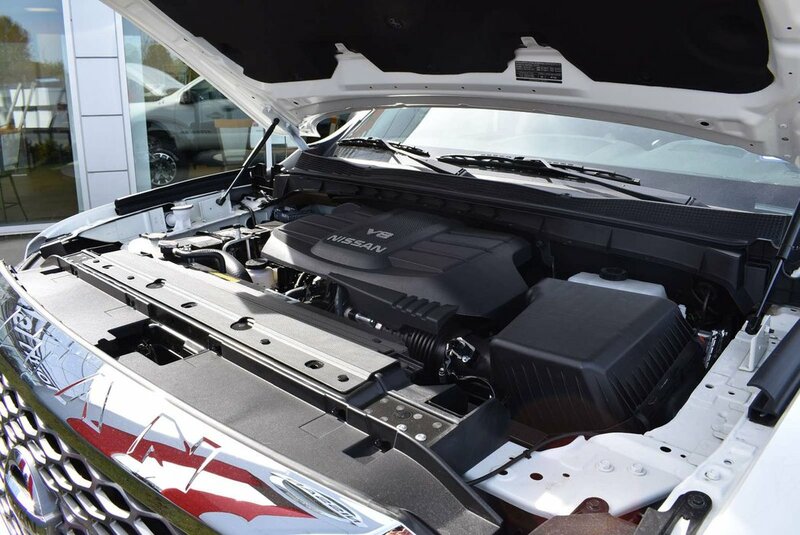 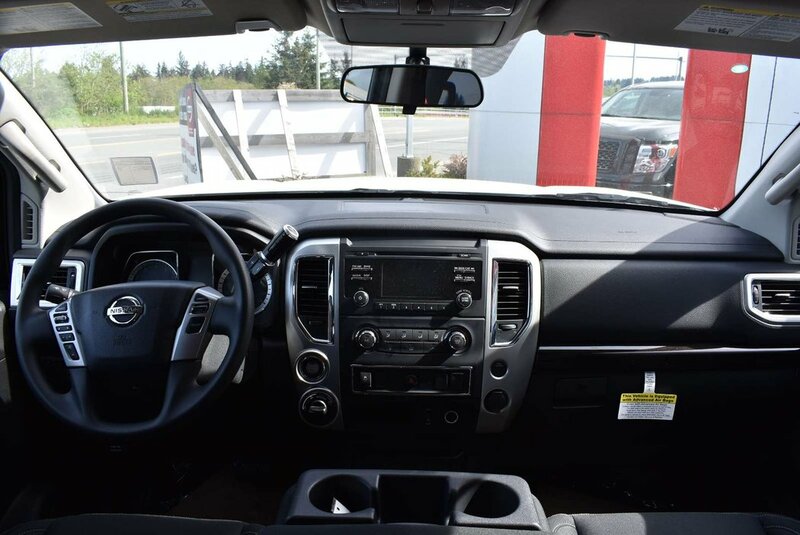 Also equipped with the comfort of air-conditioning, cruise control, power options, a back-up camera and more! 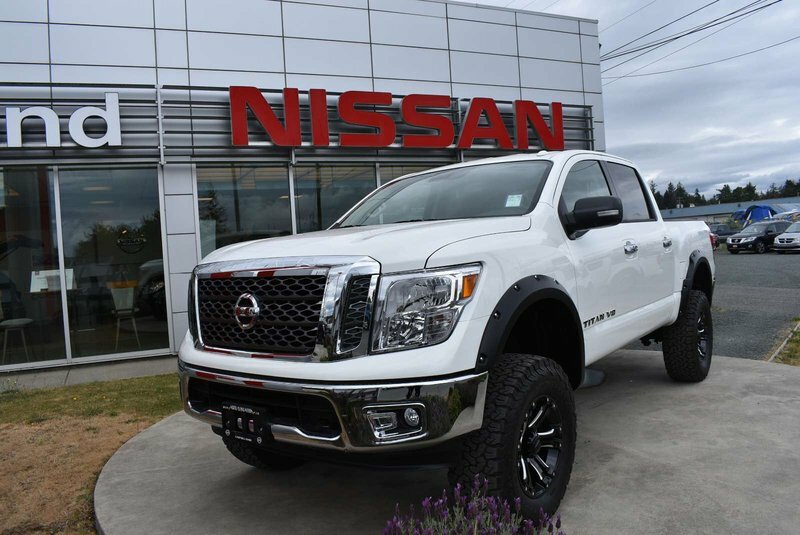 In 2017 Nissan redesigned the Nissan Titan from the inside to the out, and allowed people to gain major fuel economy by 27%! 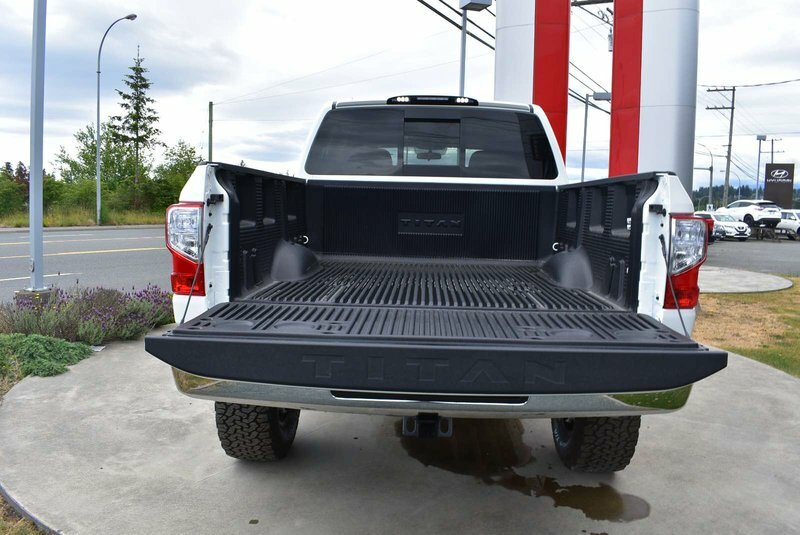 Without compromising power or towing capability. 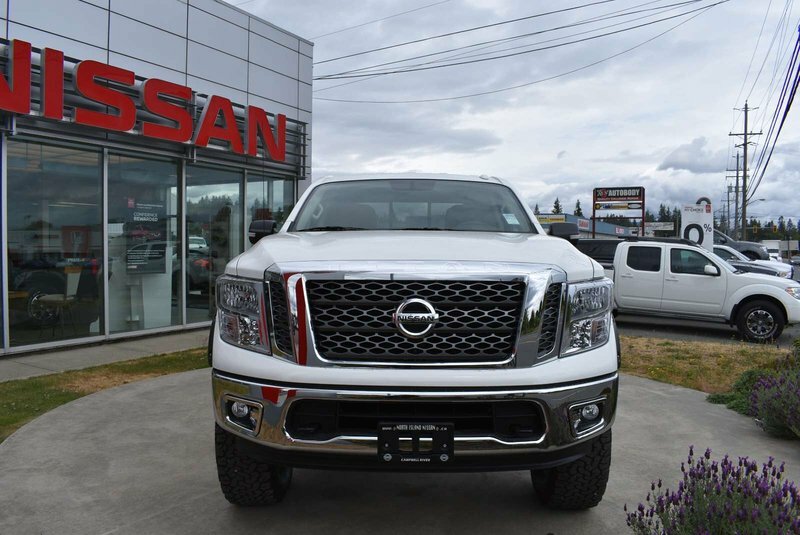 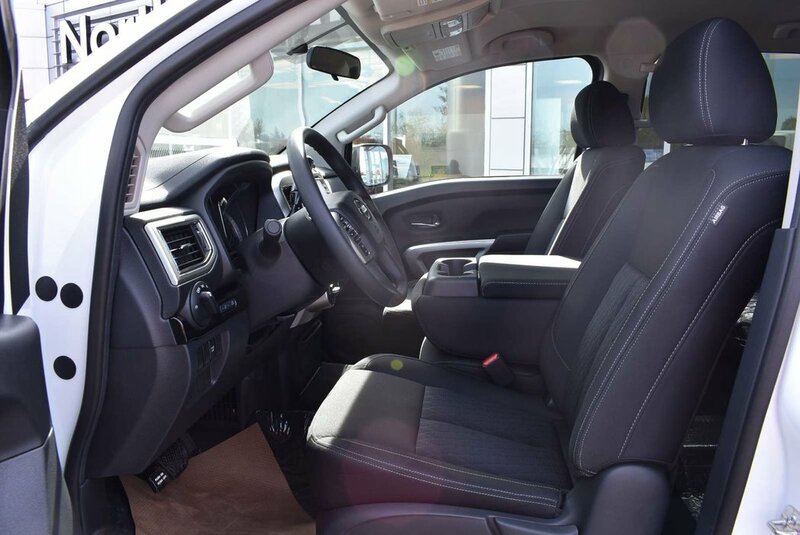 Come and see all this truck has to offer, call one of our experienced Sales Consultants at 250-287-7272.